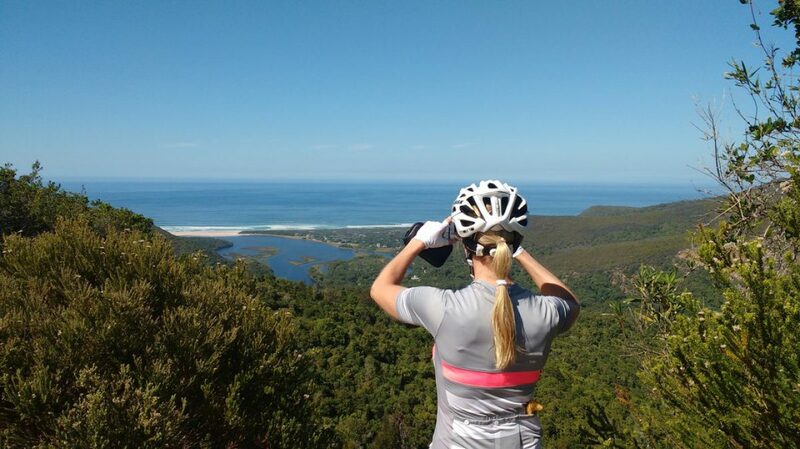 Cycling the Garden Route is perhaps one of the best road cycling tours that South Africa has to offer. Stretching some 750km from Port Elizabeth to Cape Town, it is the perfect winter training tour for those who reside in the northern hemisphere, and there is perhaps no better way to get in peak condition for the iconic Cape Town Cycle Tour than cycling along this incredibly scenic route. Due to the logistics involved, most international cyclists prefer to book a fully organised small group Garden Route Cycling Tour that includes everything from accommodations and luggage transport, to professional cycling guides, most meals, and a well-planned itinerary. Monthly departures are generally available from November to April each year when temperatures are nice and toasty below the equator, and your trip will usually last around 7 or 8 days. Centrally located in a ‘safe’ part of town, The Boardwalk Hotel in Summerstrand provides the perfect starting point for your trip. With large rooms, friendly staff, and numerous different dining options within walking distance, it is ideal for those who want to relax after their long flight and prepare for the days ahead. Jeffery’s Bay is South Africa’s surfer’s paradise, and so it makes perfect sense to stay close to the beach while you are here. On the Beach Guesthouse is exactly that – and this lovely boutique property is cyclist-friendly too! There are some great accommodation choices in and around Tsitsikamma National Park, but if you are travelling as part of a group and you need plenty of space to store your bikes and park your support vehicle, At the Woods Guesthouse is a good choice. There’s a great restaurant on site, but if you want to head out for a walk, Storms River Village is just a short stroll away. By the time you arrive in Plettenberg Bay, you will begin to realise just how popular the Garden Route is! There is a huge choice here when it comes to accommodations, but Lairds Lodge Country Estate stands out head and shoulders above the rest! Just outside of town in Hawkerville, it is a luxury retreat with beautiful rooms, lovely relaxation areas, and a fine dining restaurant. It may sound a little ‘posh’ for cyclists, but after a few days in the saddle, you’ll appreciate the comfort! We had to list 2 options here as they are both equally as good! Oudtshoorn is South Africa’s Ostrich Capital, and so if you want to try Ostrich meat (a delicious lean protein – perfect for cyclists!) this is the place to do it. Hlangana Lodge offers great accommodations that are walking distance from town. Their champagne breakfast is one of the best you’ll eat on the Garden Route, although you might want to skip the bubbly if you are to cycle 100km in 40-degree heat! De Zeekoe is situated 7km outside of town in the Garden Route’s Klein Karoo. A fabulous retreat where you can relax, enjoy your surroundings, and take a ‘walk on the wild side’ on one of their fabulous Meerkat Adventure Tours. Situated on the Cape Trade Route, Swellendam is recorded as South Africa’s 8th Oldest Town, and you’ll get to cycle through it on your Garden Route Cycling Tour! There’s only one place to stay in Swellendam, and that is Gaikou Lodge. Situated on the outskirts of town at the foot of the Langeberg Mountain, it offers huge rooms (perfect for storing you bike), beautiful scenery, and a fabulous breakfast each morning. No visit to South Africa’s Whale Coast would be complete without at stay at the Harbour House Hotel. It’s right on the seafront, and just moments from shops, supermarkets, and the best restaurants in Hermanus. As you would imagine, Cape Town is bursting with hotels and so the options are endless here, but if you are looking for a good quality, cyclist friendly hotel on the Atlantic Seaboard (best place in Cape Town for cyclists), the Winchester Mansions, the Hyde Hotel, and the New Kings Hotel are your best options. Road Cycling Tour along the Garden Route Blog at WordPress.com.